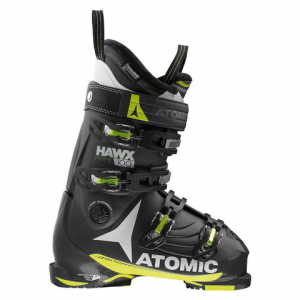 The Hawx Prime 100 is the most versatile boot in Atomic's line. This boot has the perfect harmony for that intermediate skier who wants to progress into becoming a more advanced skier. This fit has been one of the best selling boots in the past five years and the Memory Fit 3D liner, which has a pre-shaped heel pocket, makes the Hawx Prime 100 better than ever. If that wasn't enough, all the Hawx boots have a Power Shift to allow a skier to adjust the forward lean. You can't go wrong with this boot.